Memorial services for Annis Landers Hood will be held at 2:00 PM on Wednesday, September 5, 2018 at Glencoe-Hokes Bluff Chapel. Mrs. Hood, of Hokes Bluff, passed away on August 30, 2018, at the age of 78. Reverend Jason Sterling will officiate. Cremation services provided by Glencoe-Hokes Bluff Funeral Home and Cemetery. Mrs. Hood loved traveling, playing slot machines, and spending time with her grandkids and kids. She enjoyed shopping and spending time with her “Grits Girls”. Annis was a 1958 graduate of Gadsden High School and a 1959 graduate of Gadsden Business College. She was retired from The Department of Defense, Lockheed-Martin, Marietta, Georgia. Mrs. Hood is preceded in death by her father, John Oliver Landers, and mother, Doris Lavelle Landers, as well as her brother, Jerry Wayne Landers. 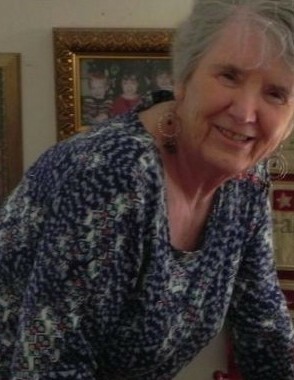 She is survived by her husband of 57 years Kenneth Gene Hood; sons: Jerry (Cheryl) Hood and Steve (Gwen) Hood; grandchildren: Thomas, David, Katie, Anna, and Daniel; sister; Annette (Buddy) Alford and several nieces and nephews. Special thanks to Amedisyis Hospice. In lieu of flowers, the family requests that donations be made to St. Jude Children’s Hospital or your charity of choice. The family will receive visitors at the funeral home Wednesday from 1:00 to 2:00 PM. Condolences may be offered at www.ghbfuneralhome.com.